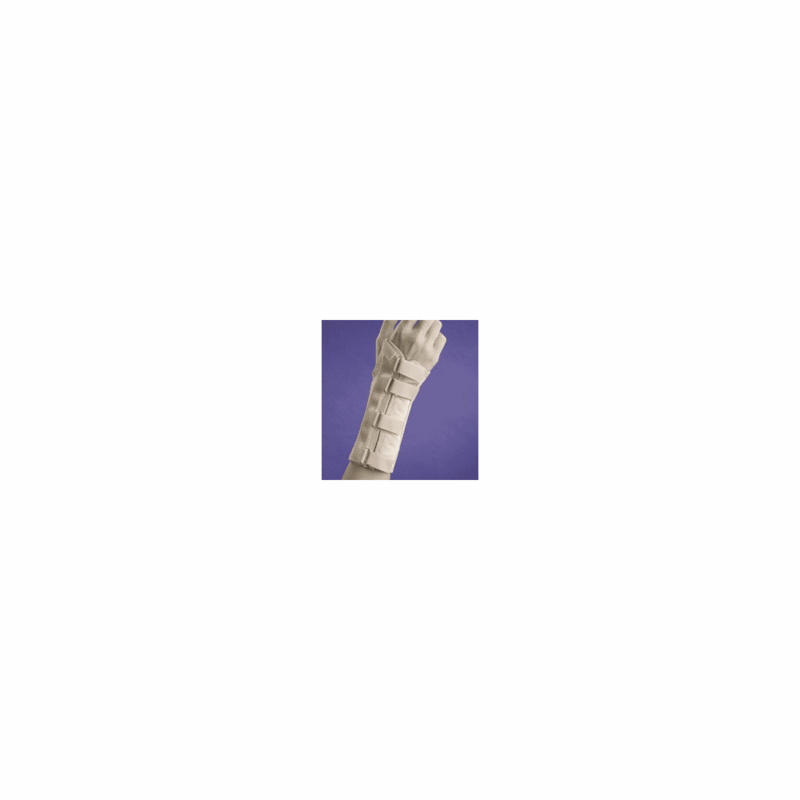 descriptionProvides light support to weak or injured wrists. Ideal treatment for Carpal Tunnel Syndrome, arthritis, mild wrist strains or sprains, and weak or aching wrists. One metal palmar stay maintains the wrist in the neutral position. The base is made of a unique, soft fleece-lined Lycra material. The sleek, low profile design also has a low palmar crease for full finger dexterity and hand use. The quick and easy closures give a precise and even fit. Easy, comfortable and inconspicuous to wear. Specifty right or left. Color: Beige. Measuer around the center of the wrist.